This briefing analyses research teaching and practice in Somaliland and Puntland, with a particular focus on the University of Hargeysa (UoH) and Puntland State University (PSU). 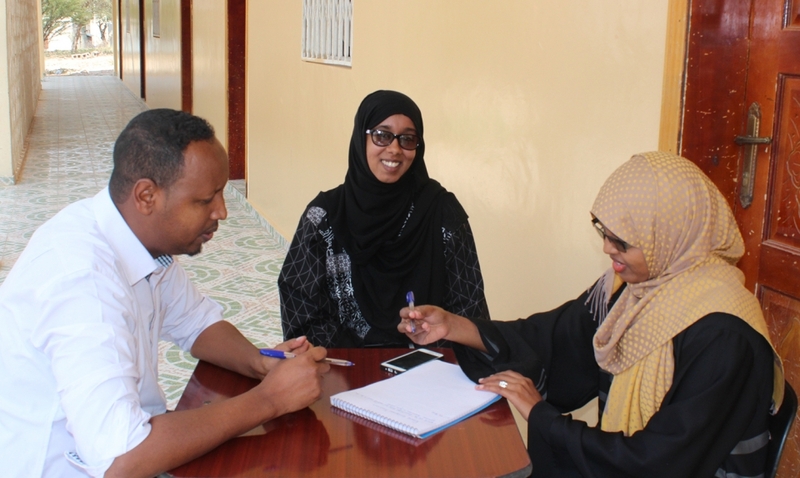 It builds on a needs assessment that was carried out in conjunction with a research methods course of lectures offered by the Rift Valley Institute (RVI) and funded by the Somalia Stability Fund (SSF). The briefing assesses the current state of research teaching and practice, with the aim of providing recommendations to strengthen local research capacity. There are a number of challenges to this, including the short history of research methods teaching in the post-war university systems; a shortage of academic staff with doctoral qualifications, research skills and publishing experience; limited independent funding for research and academic institutes; and a lack of basic resources—such as access to journals and other academic literature, and reliable internet access. At the same time, there is an increased awareness in Somaliland and Puntland that improved local research capacity is of central importance to the development of knowledge-based local policies, and an increasing number of Somali academics are gaining training and experience. Strengthening academic research capacity in Somaliland and Puntland is centrally important to enabling the development of knowledge-based local policies and, ultimately, for decolonizing knowledge production in the Somali region. At present, the majority of research produced in both locations is donor driven, whose aims may differ from local agendas. Both the University of Hargeysa and Puntland State University have prioritized research as a key strategic area for development and are taking steps to reach that goal. Structural conditions that hinder progress include: A lack of permanent staff with research qualifications and experience; a lack of independent research funding; consultancy-based knowledge production as the main model of research; and an underappreciation of the value of academic research amongst local politicians and bureaucrats. The development of research capacity can be supported in several ways: Combining the teaching of research methods with research practice, by making it attractive for largely locally-based lecturers to conduct research at the university; integrating research practice and mentoring into the postgraduate programme; and channelling international funding to support locally developed research projects. Researchers and students face a number of practical challenges, including: Differing levels of English, which is the language of instruction and most reading material; varying levels of access to the internet and internet reliability; and limited access to relevant reading material. Donor interests are the major driver of research within the Somali region. While there are several foreign and local independent academic researchers currently working in the region, most research on Somaliland and Puntland is being conducted or commissioned by international NGOs or UN agencies. There is a limited amount of research being carried out by the governments, and the majority of this is in collaboration with foreign donors. Most of the research carried out in the Somali region is applied policy research, commissioned by international actors who have particular policy interests and that may differ from those of local governments. In Somaliland and Puntland, there are a small number of well-established local NGOs whose main organizational mandate is research. These institutes are primarily involved in policy-oriented rather than academic research and design their research projects in collaboration with external donors. Vulnerable to the quality of their staff and donor funding, and being relatively small in size, the success and relevance of these institutes has fluctuated over the years. Besides the main established institutes, there are a wide range of smaller organizations that emerge and disappear (often set up by returning diaspora Somalis with postgraduate qualifications), as well as a number of international research institutes with a base in the Somali regions. Often these institutes and organizations combine a focus on research with a range of other consultancy services. Most of their projects are commissioned by the UN or NGOs and provide very particular technical studies of relevance to the development industry, such as monitoring and evaluation and baseline assessments. The role of local researchers in these projects is often confined to data collection and entry, rather than analysis. 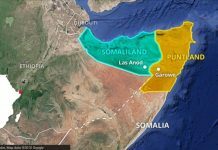 In addition to research conducted by NGOs and local research institutes, the governments of Somaliland and Puntland are involved in a limited number of research activities. In Somaliland, these are concentrated in the Ministry of Planning and National Development, which is home to the Department of Statistics. The Department of Statistics is responsible for gathering data used in policy development, relying entirely on survey research. While the research agenda is set internally, they remain dependent on external funding. In addition to the main Department of Statistics, some government ministries do have their own research divisions, however, they are not engaged in research-based policy development. Similarly, in Puntland, the Ministry of Planning is largely responsible for organizations that produce research for the government. Though some government ministries—such as education, health and planning—engage in research projects, the bulk of these activities are conducted by external consultants hired by a donor organization. There are local and international consultants attached to each of these ministries, and although part of their job is to provide technical support in conducting research, it is rarely initiated internally. Several short research methods courses are offered on an ad-hoc basis, usually linked to diaspora and international researchers visiting Hargeysa and Garowe, and to the specific needs of the host or organizing institute. These training opportunities tend to focus on the acquisition of technical skills, particularly related to data collection and data entry, rather than providing participants with a deeper understanding of the research process. Research design and analysis are not taught, despite being key components in strengthening independent local research capacity. Donors that are currently funding most of the research methods training in the region tend to design the trainings around their own needs. The research process is also largely extractive in its nature: local researchers are rarely involved in developing the research questions and research design, and usually play a limited role in data analysis. A consequence of this system is that the research climate is generally not able to promote accountability. Universities are unable to function as control institutions to local and international power holders, as might be the case in other contexts where research capacities are more developed. The leadership of the University of Hargeysa aim to structure the institution’s work around three key pillars: teaching, research and community outreach. The latter two priority areas are a new development, and at present are concentrated in the work of the Centre for Research and Community Outreach. The office is currently mandated to conduct research and has a few ongoing international research collaborations. In the university’s 5-year strategic plan (2016-2020), research is identified as a priority. Measures that are envisioned to achieve these goals include expanding postgraduate courses; recruiting new staff with doctoral competence; upgrading the capacity of existing staff; and increasing collaborations. The intention is to reform internal pay systems to compensate for research and academic outputs. While the leadership of Puntland State University also hope to increase the university’s institutional research capacity, current plans to do this—due in part to its significantly smaller size—are more modest and do not involve any major university restructuring. At present, the research activities of the university are concentrated in the Centre for Postgraduate Studies, Research and Capacity Development (CPSRCD), established in 2010. The Centre is currently engaged in a number of research and training projects and also administers the university’s two postgraduate programmes, in collaboration with Jomo Kenyatta University of Agriculture and Technology (JKUAT) in Kenya. Both UoH and PSU offer a series of postgraduate courses, mainly in the social sciences. UoH provides the following MA programmes: Peace and Conflict Studies; International Relations and Diplomacy; Governance and Leadership; Development Studies; and Project Planning and Management. In 2018, there are approximately 250 students enrolled across these programmes. PSU currently hosts two postgraduate programmes: an MA in Development Studies and an MBA. Both programmes are offered in collaboration with JKUAT. JKUAT is responsible for designing the programmes, providing the majority of instructors, examining student work and granting degrees, while PSU is the host institution. There are currently 85 students enrolled in these two programmes. Compared to both universities’ undergraduate lecturers, the teaching and research experience of the postgraduate lecturers is quite high. UoH requires that all postgraduate lecturers are either PhD holders or PhD candidates, or MA holders with extensive research and professional experience. Many of the postgraduate lecturers at UoH have professional research experience and academic publications. The current challenge for both universities is not that these lecturers are unqualified but that they are not permanent staff. At UoH, this means that all courses are taught in a block system, over consecutive weeks or months, and that none of these lecturers contribute to broader research activities at the university or strategic thinking about improving the university’s research capacity. At PSU, postgraduate courses are offered on a term basis, with the lecturers coming from JKUAT and the Somali diaspora with PhD degrees and teaching experience. Since the staff teaching the postgraduate courses are not based locally, their contribution to university research and strategy is minimal. In trying to increase their capacity to teach and conduct research, the two universities face considerable challenges. While challenges at Puntland State University are similar, and increasing staff capacity and access to funding are key priorities, there are important differences. A much higher percentage of their staff are full-time employees, and at the undergraduate level a substantial number of full-time lecturers teach a considerable proportion of the courses. Although the university has no internally-paid full-time staff who are PhD holders, they have benefited from the contributions and mentorship of several diaspora PhD holders who, through various collaborations, have spent time at or are currently connected to the university. Given the smaller size of PSU, such contributions have had a significant impact. However, systematic efforts to improve research capacity are challenged by the fact that the most qualified lecturers are not locally-based and do not engage in research at the university. While research methods courses are provided at both universities, these suffer in a number of ways, with challenges that are similar to those the universities face in relation to strengthening research capacity. The teaching is offered in blocks, which makes it difficult to process the information; the courses are too short considering the limited baseline knowledge of the students; and the students may gain extensive theoretical knowledge about research methods but little to no practical experience. As lecturers are rarely available beyond the duration of the courses, students lack access to mentorship and feel ill-prepared to conduct their thesis work. Furthermore, many courses—in particular those taught by foreign lecturers and at times diaspora—are taught in English, but most students do not have the language skills to maximally benefit, including the ability to read the limited material available. Students highlight the need for more training in a number of areas including research design, literature reviews, data collection, thesis writing and academic writing more generally. Other suggestions include replacing lectures with research seminars and practical work, and receiving concrete feedback from the lecturers on their projects rather than just a grade. Students also suggest that these courses should be delivered early in the programme or throughout it. This would require a change in the current structure, particularly as lecturers are not locally-based, and this may require new and different skills from lecturers. At the University of Hargeysa and Puntland State University, there is great interest in and engagement with strengthening research capacity. Both universities are looking at ways to improve their teaching on research methods and are keen to conduct more research projects. Each has access to a substantial number of highly motivated local and diaspora lecturers and researchers, and measures are being taken to strengthen academic research at the universities. These are important developments, not least because of the clear need to develop locally created and owned knowledge that can support local and international policy decisions. However, the challenges to universities fulfilling these goals are significant. Little research is carried out within the university system due to a lack of independent funding and a model of knowledge-production in the region that is driven by international donor needs. Furthermore, library, ICT and human resources are insufficient. While research methods courses are provided within the newly established postgraduate programmes, they mainly focus on theoretical skills; are taught within blocks of limited time by lecturers who are not locally-based; and do not prepare students sufficiently to carry out a research project and write a thesis. 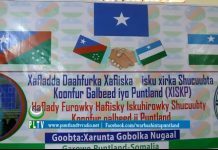 Somaliland and Puntland should aim to establish an independent academic body to administer research funds. 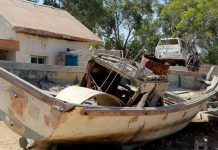 In the absence of such a body, it is recommended that local universities seek funding from sources—not just international organizations but also government donors and research councils—that demand collaboration with partners in the Global South. Donors should require such funding to support research that is more collaborative, less extractive and responsive to local agendas. Currently, those who conduct the bulk of research in Somaliland and Puntland are independent consultants who are not available for sustained teaching and student supervision. At the same time, those who teach often do not conduct research on university projects and are often not based in Hargeysa or Garowe. Efforts to increase the number of research projects carried out at UoH and PSU, and aims to improve teaching on research methods, can be mutually strengthened. The lecturers who teach research methods need to have time and resources at the university to carry out their own research. The students who are taught research methods can become an important asset in carrying out these projects. a) The mode of instruction should shift from lectures to more practical exercises with follow-up opportunities. b) Block-teaching should be avoided. This will require recruiting and hiring lecturers who are locally-based and incentivizing these qualified individuals to supervise students and to carry out research projects within the universities. Hiring and retention policies should also be looked at carefully within the wider context of exploring ways for the universities to increase their funding sources. c) Students should be assessed through practical exercises rather than written examinations, and lecturers should be encouraged to provide detailed feedback. d) Existing courses should be supplemented by those on academic writing and research seminars. e) The language of instruction and of class readings should match the competency of students. More effort should be made to deliver courses in the Somali language, while English language classes should be provided to help students understand the relevant literature. Consideration should be given to setting up a programme where researchers who go to the region are matched with one or two individuals, exchanging lessons in research methods with the opportunity to contribute to building local capacity. This should include PhD students as well as senior researchers—both diaspora and non-Somali. While this already happens on an ad-hoc basis, this voluntary programme could match those who are interested in mentorship with those who are willing to function as mentors. Selection procedures based on the nomination of candidates have inherent weaknesses, whereas open calls require clear and transparent selection procedures and close follow-up of motivations and progress of the selected participants. Who is invited to join training programmes and who is asked to teach determines many of the outcomes of any programme.